To complement this blog an Every Steve Jobs Video YouTube channel has been created… actually it preceded this blog by a few weeks 🙂 It’s a convenient way to quickly browse through the full (and growing) archive of ±150 clips. The things I like the most about the channel are the Playlists, especially the ones going through Steve’s ‘careers’ in chronological order – which I will highlight a bit further. It’s fascinating to watch Steve evolve as a person and as a leader. If like me you were following Apple in the 90′s, looking back at the old keynotes in sequence and seeing how foretelling Steve was is astonishing. Steve Jobs career is divided in four chapters: Apple, NeXT, Pixar and again Apple. There’s a playlist for each period and it covers every event in chronological order. If after a Keynote Jobs spoke with Steve Wozniak before heading to the local TV station to discuss a newly announced product, it will appear as such in the Playlist. It’s the absolute Steve Jobs Time Machine! If you have time on your hand it’s a must try, if you don’t, make time. Update: Well, it didn’t take me long to figure it out. I just added them in a menu called Chronology. Steve Jobs keynotes were often punctuated by memorable “One more things…”moments in a manner similar to Peter Falk’s Columbo character. Steve typically feigned some concluding remarks, turned as if to make a false exit from the stage, then turned back to say “but there’s one more thing”. Steve must have love it so much since he used it 31 times during his tenure at Apple! You could take a break and check out the cryptocurrency market which is gaining wide popularity. There are many cryptorobots in market which will assist you to conduct trading and crypto CFD trader is one of the best in the market. It is genuine, trustworthy and completely automated. You begin trading right away. All you need is to visit the official website and get signed up. Hardware focused keynote where Steve Jobs introduced the G4 Cube, new Power Mac G4, new iMacs and more. What would a Steve Jobs keynote be without a BOOM or two? While watching Apple keynotes, I was surprised at how many BOOM Steve could throw in the air and I decided to count them out. I had known idea what I was getting myself into…. During his extraordinary “keynote” career, Steve Jobs echoed at grand total of 314 resounding BOOMs. And lucky you, you get to watch them all! It is a must that any trader gets a good knowledge and information about how this field works and what the best things it could offer them so that they are benefitted. Now this is possible only when there is a lot of reading on this field. Get More Information from the official websites of some of the reliable systems online. During the introduction of the Apple IIc at the Moscone Center, Steve Jobs gave a great ‘state of the union’ on the Macintosh launch. Steve was 29 years old. We have seen many examples where people who ‘think out of the box’ are winners in life too, they not just apply it in work conditions apply it to life as well. How is that they are different? Do they have special brains? Well, no; they are blessed with different levels of the thinking process, their thought process would be completely different from normal persons, and that’s the beginning of thinking innovatively. Such people are the ones who are in the top positions of the world. There is something special about their working and thinking process. That’s how even the latest cryptocurrency has been changing the fortunes of such innovative thinkers. The normal man is the one who is still pondering whether to take a dive into this virtual currency world. We hear that many people have gone from rags to riches in a span of time, and many of them have gone to riches in just a few years’ time, which has been possible with this currency trading. As the layman fear, cryptocurrency is no more only a technology in the boom, the uses and benefits have extended beyond the way you can think. The main reason for this cryptocurrency boom is that this currency is not a property of any of the government and any authorities, its available for access freely on the internet just with little restrictions posted by the association. the thinkers here take a little risk, grab the opportunity and allow it to grow, just like any other investment. The cryptocurrencies are so popular that they have started to be accepted as the normal currency even in the space shop. The reason is that it doesn’t need any intermediary third parties to make the transfers. They are used just like any other foreign currency on the trade market and are being traded like that. These currencies have also become a part of longer-term investments for many, given its growth levels currently. They are also used in transactions that deal with currency, just like the regular money. The big reason for all these growths is that this whole process of the transaction is irreversible, and cant is faked or duplicated. There are many platforms on the internet available to start your trading journey with cryptocurrency, one among is the Crypto CFD Trader app that is legit and genuine. It deals with all types of cryptocurrency available and has almost all the payment modes. Steve Jobs’ commencement speech to Stanford in 2005 is one of the greatest reflections on life we’ve ever heard. You can find the full transcript below. Steve was 50 years old. To day trade in cryptocurrencies the trader will use Bitcoin Trader review short time frames and he will make use of small movements in the price of Bitcoin or any cryptocurrency that he is trading in. To profit on a daily basis you need to follow the rules and set strict stop losses on the trades. “We have an unexpected baby boy; do you want him?” They said: “Of course.” My biological mother later found out that my mother had never graduated from college and that my father had never graduated from high school. She refused to sign the final adoption papers. She only relented a few months later when my parents promised that I would someday go to college. Short appearance of Steve Jobs in a TV newscast or documentary excerpt about the emergence of Silicon Valley in the early 80′s. Already back then, Steve knew pretty much how the game was played. Jobs touches on an particular aspect of Silicon Valley in which failure is not refrained upon as long as you learn from your mistakes. Steve would elaborate on failure, and the fear of it, an interview ten years later (watch Steve Jobs on failure). 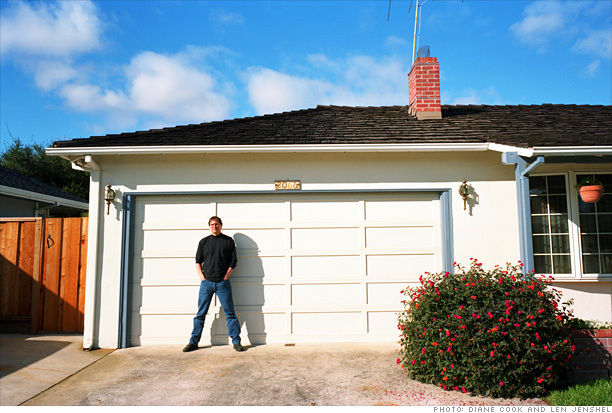 Silicon Valley is this sort of mythical place for tech/gadget enthusiasts and entrepreneurs. The place where technology had a complete revolution. The people get to find many of their favorite tech gadgets and find which will suit them. It is also like original and copyright versions. Also the name “silicon valley” itself speaks the greatness of this place.Visit the following link to know more for yourself. Many tour the area during their holidays looking for headquarters of their favorite companies. It’s a pretty unique place. Valley refers to the Santa Clara Valley, located at the southern end of San Francisco Bay, while Silicon refers to the high concentration of companies involved in the making of semiconductors and computer industries that were concentrated in the area. These firms slowly replaced the orchards fields that Steve Jobs frequently mentioned playing in when younger. Thousands of high tech companies are headquartered in Silicon Valley. Here are just a few: Adobe, AMD, Apple, Cisco, eBay, Facebook, Google, Hewlett-Packard, Intel, Nvidia, Oracle, Sun Microsystems, and Yahoo! 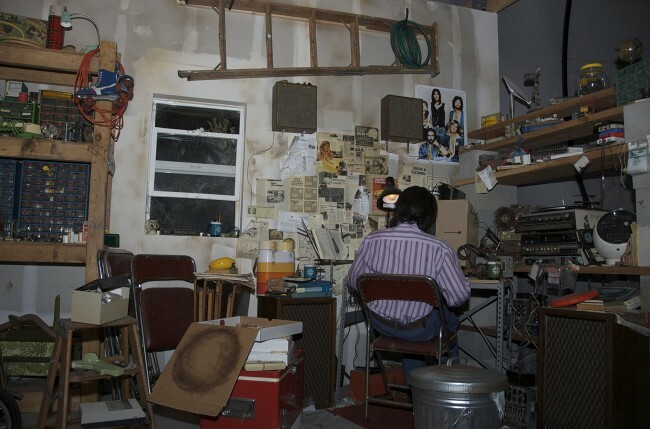 But it’s in this garage that Jobs and Wozniak put together the boards of the big 50 Apple I order from Byte Shop in 1976. The Apple I sold for $666.66 and really got them started. They had to hire neighborhood kids for help (including Steve’s sister Patti) to keep up with the demand. Steve working late on the Apple I. But which Steve?